As rain falls on an uncapped (operational) area of a landfill cell this water is quickly absorbed due the permeable nature of the waste. The water drains through the permeable waste creating an often hazardous liquid known as Leachate. It usually contains both suspended and dissolved material. 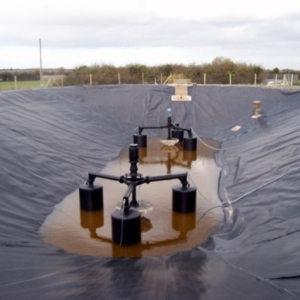 The term “Leachate” is used in the waste management industry to describe any liquid produced by “Leaching”. 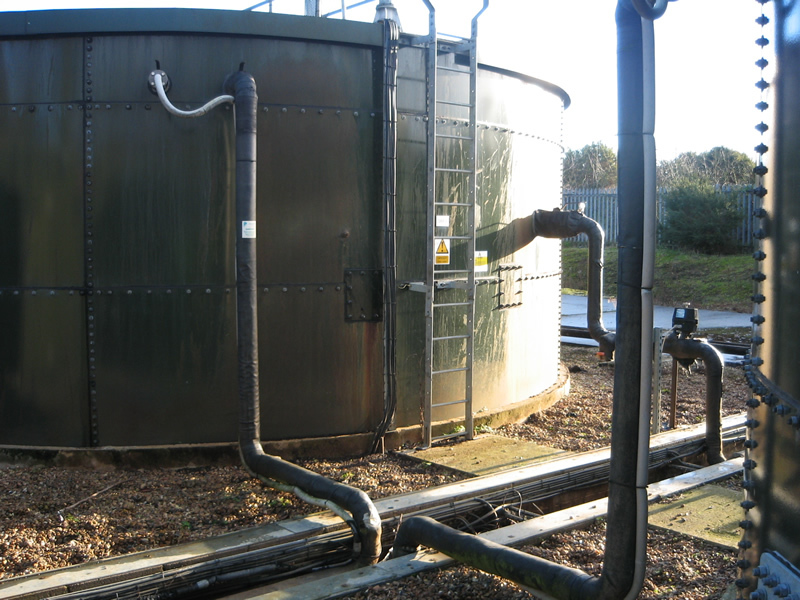 Leaching happens when liquid percolates through permeable waste material. 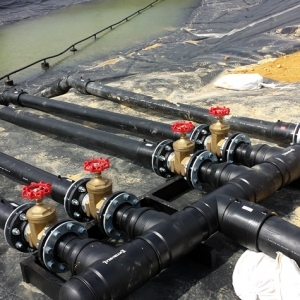 Leachate can be highly corrosive so it is essential to use high grade materials which will come into contact with is such as stainless pumps and MDPE (polyethylene) pipe these materials have proved to be highly resistant to leachate. 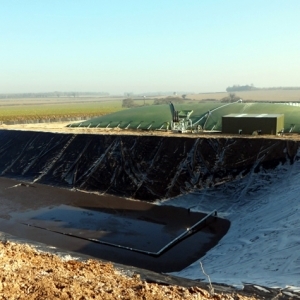 Leachate must be contained and controlled so monitoring and collection systems are put in place to monitor and reduce Leachate levels to safeguard against possible ground and water course contamination. Concrete or plastic sectional chambers usually constructed towards the end phase of construction of a cell, perforated pipes can be laid in a herring bone basal drainage design and directed to enter into the base of the chamber for maximum area coverage and collection of liquid. These sectional type chambers can easily be raised as the cell fills with waste and with a suitable head works a range of pumps can be used including hydraulic pump head, electric borehole pumps and pneumatic pumps (air pumps) or in cases where heavy solids are present electric macerator pumps can be used to break solids down. Side risers are usually constructed early on as above in a low point or sump and can also have a herring bone basal drainage feeding in as the above system. 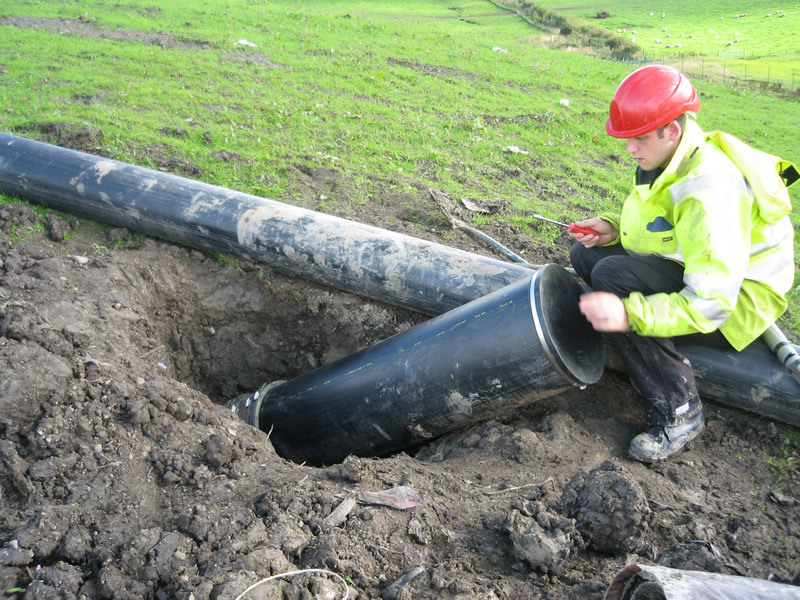 Side risers are usually constructed from large bore MDPE pipes perforated at the low point or sump and solid sections rise on an angle following the profile of the cell. 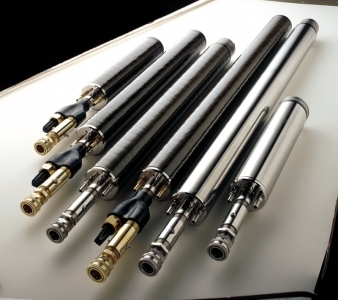 Pumps commonly used in side risers are electric borehole pumps or specialist pneumatic pumps (air pumps) often referred to as slider pumps and bladder pumps. 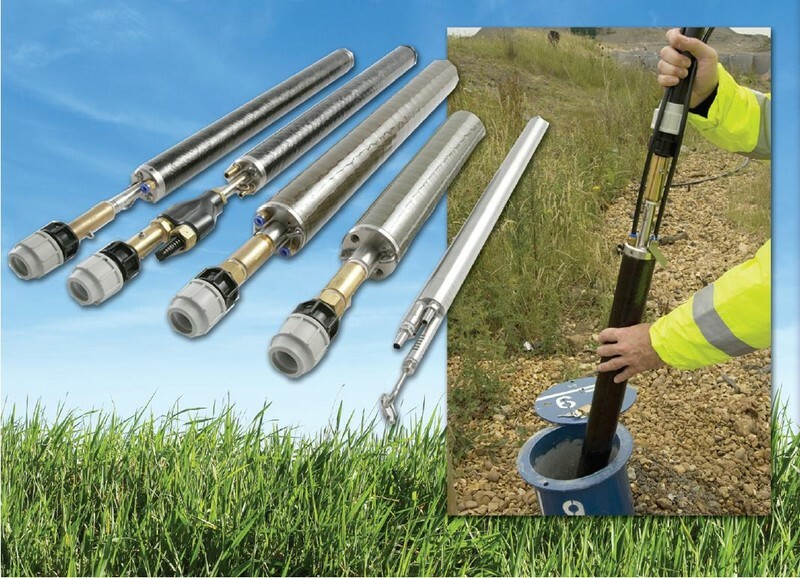 Drilled borehole s are vertical boreholes installed once the cell has sufficient waste depth in place and Leachate control is necessary using auger type drill rigs. The diameter of the hole drilled depends on the desired well casing to be used which is usually related to proposed pumps to be used, wells are drilled short of the containment or Lining system and once desired depth is achieved an MDPE well casing is lowered into the hole with the lower sections perforated or drilled and the remainder solid section to just above surface. 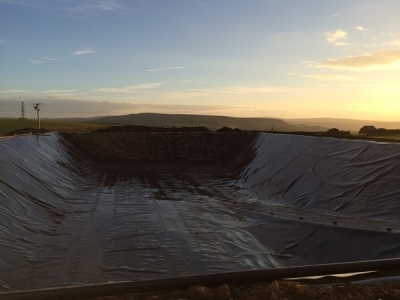 The annulus around the well casing is back filled approximately 2-3 metres below ground with clean gravel which acts as a filter medium, finally hydrated bentonite is poured into the annulus letting it slightly over spill above to form a gas and water tight seal to the newly installed well. 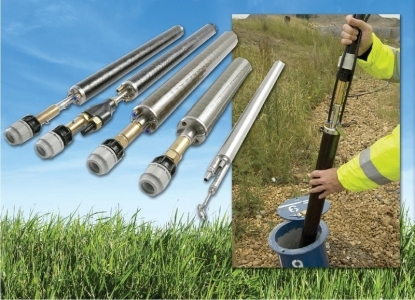 These types of boreholes can be extended easily if more waste is to be placed in the cell. 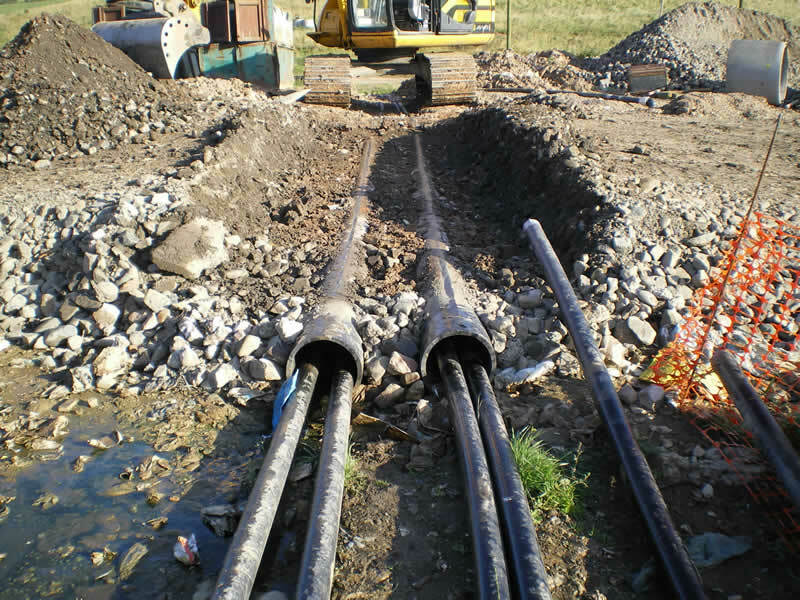 Pumps commonly used in vertical boreholes are electric borehole pumps and pneumatic pumps (air pumps). Most sites have a common leachate main which would be connected via smaller bore MDPE pipe from each pumped collection point to a usually larger diameter MDPE main pipeline capable of carrying all the sites leachate under pressure to either a lagoon or holding tank for treatment. Following treatment the diluted leachate is usually pumped to sewer or tankered off site. All of our members of staff have the relevant qualifications i.e. TWI or City and Guilds and hold appropriate CSCS cards.